While the holiday season is often joyous, it can be stressful, too­. Family members may be visiting from out of town. Calendars may be filling with invitations and events. Add to that the changing demands of caring for an aging loved one, and you may find yourself unable to get to all the items on your growing holiday list. If the holiday season is creating extra stress or tension, try these tips to make the most of your time with your loved ones. Take a step back and examine what’s really important this holiday. Ask your loved one for input; perhaps spending time together in a casual way will have become more important than some of the outings and events that you’re used to. Your family may most enjoy a day spent reminiscing by telling stories or looking at photos, or engaging in simple pleasures like doing jigsaw puzzles or playing cards. You may also enjoy doing activities together that boost brain health. If your loved one has dementia, try sharing these conversation tips with the rest of the family to maximize engagement. It’s natural for people, especially older adults, to be a little down during the holidays. Perhaps the holidays conjure memories of lost loved ones or happier times. If you or your aging loved one is feeling down this season, try these simple tips for combatting the holiday blues. For some people, the winter can bring on Seasonal Affective Disorder or even depression. It’s important to realize that depression is not a normal bi-product of aging. Here are some ways for you to recognize the signs of depression. Is there one favorite holiday food or family tradition that your family members don’t want to forego? Enjoy that tradition, while letting go of some others, and be sure to leave time for visiting and rest. 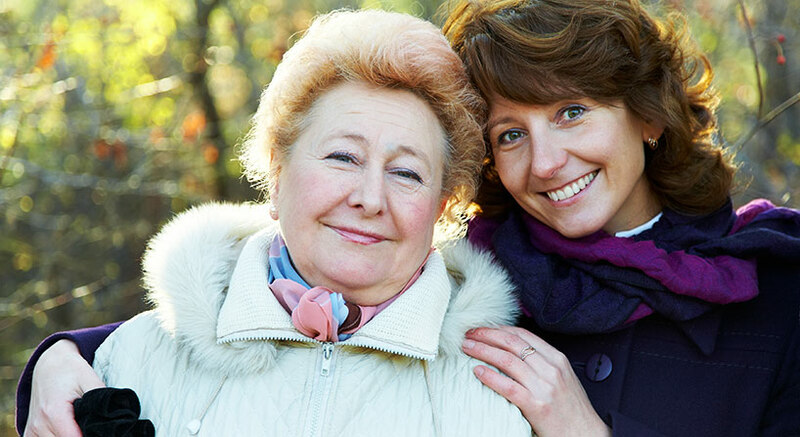 If you have visiting family, enlist them to help with your loved one while you take a well-deserved break. Or, consider hiring short-term respite care so that you can truly enjoy time with other friends and family members. During the holiday season, it’s as important as ever to remember to take care of yourself. This will help you stay healthy, recharge, and avoid caregiver burnout. If you’re able, try to get some fresh air and exercise. Do something kind and uplifting for yourself, perhaps something you used to enjoy but haven’t done for a while. Try these mindfulness exercises to help relieve caregiver stress. Visiting family can add stress to the caregiver situation, particularly if one family member has largely been charged with caregiving. You may experience resentment, criticism, or lack of appreciation for your contributions. Try to communicate your needs around the situation and solicit help from other family members with various tasks. You may need to take a step back to explore the source and content of any criticism or ideas. Do the ideas seem to be coming from a good place? If so, this may be an opportunity to brainstorm with the well-meaning family member. When there is trouble resolving disagreements about your loved one’s care, a family care consultation with a professional care manager can help you explore your options and create a plan that addresses everybody’s needs. If you’re experiencing stress that seems beyond that of the holidays, it may be time to seek additional support. Seniors At Home empowers family caregivers and families through education, respite, planning, and one-on-one practical and emotional support. If you are a family caregiver, we can offer you respite care when you need some time to rest and recharge. Look out for signs of caregiver stress and burnout and remember that you do not have to face the demands of caregiving alone. We wish you and your loved ones a happy and meaningful holiday. Seniors At Home is dedicated to improving the lives of socially isolated older adults and their families, providing home care, care management, and dementia care, as well as respite and other supportive services for family caregivers. To learn more, call 844.222.3212 or contact us online.